Indiana University Press, 9780253008596, 344pp. Are we responsible for, and to, those forces that have formed us--our families, friends, and communities? Where do we leave off and others begin? 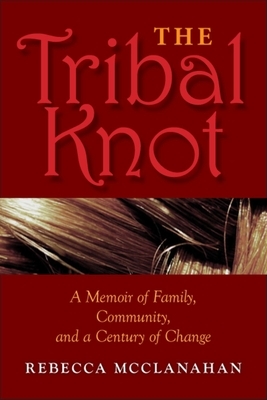 In The Tribal Knot, Rebecca McClanahan looks for answers in the history of her family. Poring over letters, artifacts, and documents that span more than a century, she discovers a tribe of hardscrabble Midwest farmers, hunters, trappers, and laborers struggling to hold tight to the ties that bind them, through poverty, war, political upheavals, illness and accident, filicide and suicide, economic depressions, personal crises, and global disasters. Like the practitioners of Victorian "hair art" who wove strands of family members' hair into a single design, McClanahan braids her ancestors' stories into a single intimate narrative of her search to understand herself and her place in the family's complex past. Rebecca McClanahan, the author of nine previous books, including The Riddle Song and Other Rememberings, which won the Glasgow award in nonfiction, is the recipient of a Pushcart Prize, the Wood Prize from Poetry, and fellowships from New York Foundation for the Arts and the North Carolina Arts Council.